You've seen the ramen burger but Grub Street takes it to the next level with their ramen roll. 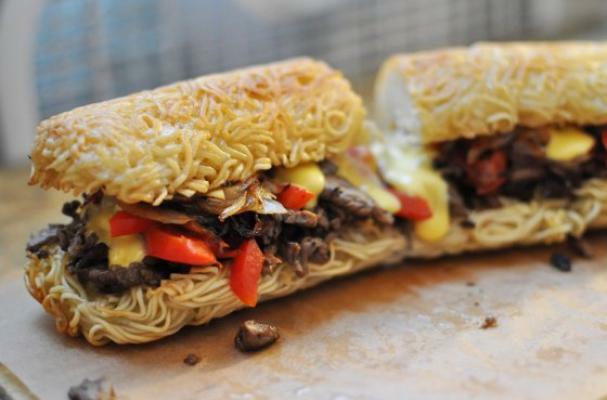 They have managed to create a hoagie roll out of two packages of instant ramen noodles. With the help of a baguette pan and bottle of champagne they sparked the next craze in ramen renditions. You can fill your ramen roll with a myriad of ingredients, Grub Street went with Bobby Flay's Philly cheesesteak recipe. To make your own ramen roll, click here.